Leave a comment on THIS post by 6 p.m. CT Tuesday, May 3, 2016 to be entered in the DRAWING for a copy of the book below. If you mention in your comment that you’re a follower (see in the left sidebar “Join This Site” and “Follow by Email”), I'll add your name a second time in the drawing. U.S. mailing address required to receive a paper book. I may or may not have read books offered for giveaways. The mention and giveaway of books on my blog does not in any way indicate any manner of my endorsement of said books. Read book giveaway details at Disclaimers. To provide you security, please leave your email address like this: johnATyahooDOTcom. Winner announced in next Thursday's blog post. childhood to gather nuggets for children's stories. She has published one hundred articles and stories for children and adult magazines, with true accounts in eight book anthologies. 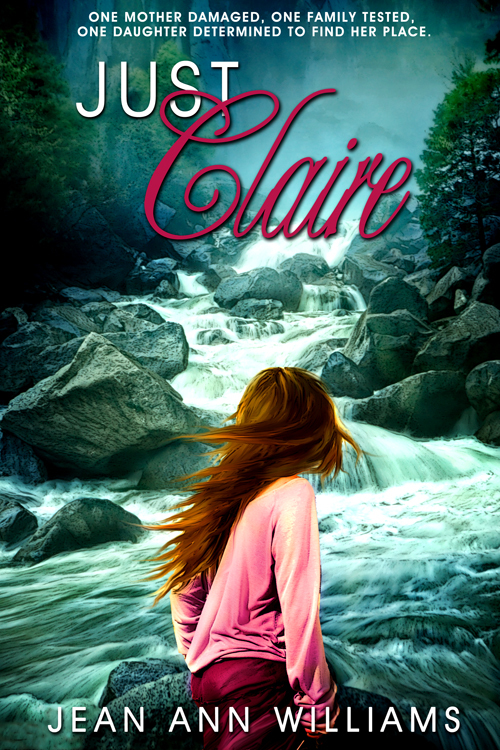 Just Claire is Jean Ann's debut novel. 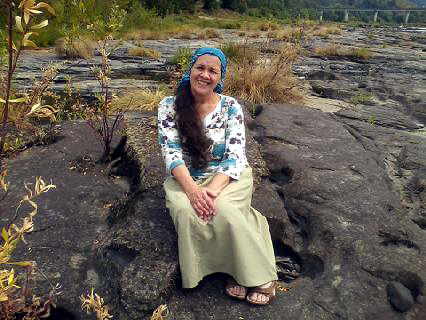 In Jean Ann's free time she enjoys hiking in the mountains, archery hunting, and caring for her chickens and goats on the farm. If you could have dinner with one person from today or history (except Jesus) who would it be? Why? I would have dinner with my son, Joshua. Joshua passed away eleven years ago at the age of twenty-five, and I still miss him with my whole heart. I had such an imagination by the age of five that I truly believed I had a little man in my pocket and I would feed him crusts of bread at the dinner table. I’m dyslectic, so it hindered me in my ability to read until I was in fourth grade. It took me twenty years from idea to publication of this first novel Just Claire. Tell others about my book and give a book review. Please tell us a little about your novel, Just Claire. of her siblings after her mother becomes depressed from a difficult childbirth. Frightened by the way Mama sleeps too much and her crying spells during waking hours, ClaireLee just knows she'll catch her illness like a cold or flu that hangs on through winter. ClaireLee finds comfort in the lies she tells herself and others in order to hide the truth about her erratic mother. Deciding she needs to reinvent herself, she sets out to impress a group of popular girls. With her deception, ClaireLee weaves her way into the Lavender Girls Club, the most sophisticated girls in school. Though her best friend Belinda will not be caught with the likes of such shallow puddles, ClaireLee ignores Belinda’s warnings the Lavenders cannot be trusted. ClaireLee drifts further from honesty, her friend, and a broken mother’s love, until one very public night at the yearly school awards ceremony. The spotlight is on her, and she finds her courage and faces the truth and then ClaireLee saves her mother’s life. Where can readers purchase Just Claire? Click Amazon to read sample chapters of Just Claire. Jean, thanks for visiting with my readers and me. One commenter will win an eBook copy of Just Claire that Jean Ann has offered for a giveaway. Commenters, please remember to leave your email address! The winner of last Thursday’s blog post for a copy of Unbalanced by Leeann Betts is Ann. I’ll email you. Thanks all for commenting. Watch for more book giveaways. Thanks for reading my blog! 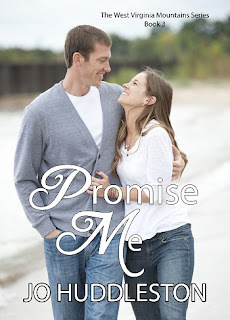 Recently released book 3 in the West Virginia Mountains series is titled Promise Me. Available in print and eBook at Amazon! Thank you for hosting me, Jo. I can't wait to see who wins a copy of Just Claire. Jean Ann, you're so welcome! This sounds like something an adult would enjoy as well! pat at ptbradley dot com and I'm a follower. Pat, thanks for leaving your comment. I appreciate your following my blog! Hi Patricia! I'm pleased you stopped by at Jo's site. Yes, the grownups are enjoyng Just Claire. I enjoy mysteries, romantic suspense and historical fiction. Jo, I am your follower. Thank you for stopping in, Connie! Tammie, thanks for commenting. I appreciate your following my blog! It's never too late to enjoy reading. Thank you for dropping in, Tammie! My favorite genre is mystery/suspense. Jean's book would be a wonderful addition to the church library. Our Home-school group would enjoy it also. Hi Library Lady, thank you for your comments!